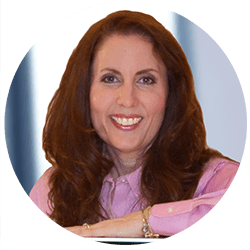 On Demand Registration: Website Design Kim Kardashian Would Love - The URL Dr.
Sign up to watch the on demand version of “Websites Kim Kardashian Would Love” This webinar was prerecorded, and was hosted and presented by Kim Butler, The URL Dr. The webinar will play instantly after filling out the registration form below. Kim Kardashian is one of the most over exposed celebrities around, but no one can argue she knows a thing or two about the internet. In this 30 minute webinar, we’ll discuss best practices for a great looking website that turns visitors into customers. You’ll learn the importance of landing pages and how calls-to-action can help you close the deal. This webinar will detail a list of basic elements every website needs to have to succeed. You’ll also get a list of “Don’ts” that can bring your visitor’s experience on your site to a screeching halt. After the presentation there will be a Q&A with Kim at the end of the webinar. (That’s Kim Butler…The URL Dr…sorry folks…we didn’t have $1M to get the other Kim to answer questions.) Kim and her TBA guest will take your questions and offer up additional points for discussion in the area of website design. Kim Butler is a serial entrepreneur and owner of The URL Dr., an online marketing agency based in Columbia, MD. Kim’s mission is to help small and mid-sized businesses and organizations be more successful online. Since starting her first company at the age of 11, Kim has experienced first hand, the growing pains of starting and operating a small business. Her presentations draw on over 36 years of personal experience in retail, online marketing, and e-commerce. The URL Dr. was very engaging. The subject was presented both efficiently and effectively. Even those technically challenged, like myself, will be able to follow with ease as the information is presented in layman’s terms. Overall, a very well thought-out and expertly executed program. I am amazed of how much was covered with an hour presentation. The information shared was very impressive. This is what I needed. Don’t miss this opportunity! The webinar was very well-conducted and offered great tips that will push the marketing of any small business to a different level. I have been a customer and fan of Kim Butler, the URL Dr. for years. She first aided me in my web site design and continues to teach me to be a better marketer through her associations with national brands. She consistently delivers high quality, actionable information which continues to benefit my marketing efforts.